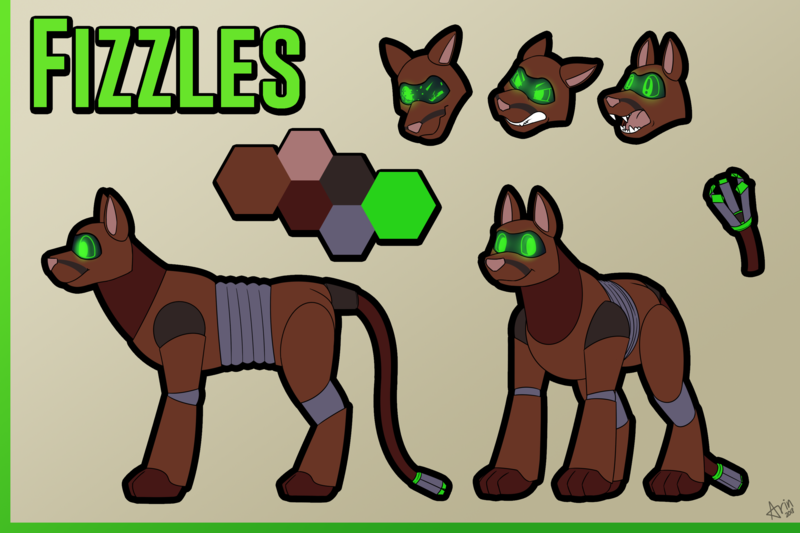 This is a revivial of a character i made back in 2009 or earlier called Fizzles! Originaly was an inflatable living pooltoy ceature that was with Kendall from RP's i did long ago with Rawr/Arin. But has been tossed in a corner for years cause I didnt know what to do with the character. Fast-forward to now and I decided to revamp the character and revive them from the grave! Personality still being refined. will add that here once feel solid on how want him to be. Has a variety of tools/weapons: can deliver taer shocks throuigh fangs once bies someone thats a threat. tail can also act as a taser and claws. boose/soda/air nozzle is hidden behind either wrist that can flip back 180 degrees to expose and use. tail can also act as aplug to recharge its own batteries, or to use its batteries ot charge up something (like a electric vehicles batteries).